“I am delighted to be entering into this therapeutic development partnership with LG Chem which is a strong validation of the potential of the Affimer® platform. “This alliance is an exciting opportunity, not only to work with a partner who has first class biologics manufacturing and clinical development capabilities, but who also has a pioneering vision to develop innovative therapies. Avacta Group plc (LON: AVCT), the developer of Affimer® biotherapeutics and reagents, is pleased to announce that it has agreed an Affimer® therapeutics development partnership and license agreement with LG Chem Life Sciences (LG Chem), part of the South Korean LG Group, to develop Affimer® therapeutics in several disease areas. This multi-target therapeutics development agreement provides for upfront and near-term milestone payments, plus longer-term clinical development milestones totalling $180 million. 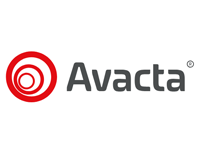 Avacta will also receive royalties on any future product sales and LG Chem will cover Avacta’s costs of research and development associated with the collaboration. Avacta may receive an additional $130 million in option fees and milestone payments should LG elect to exercise their options for additional targets. Avacta will generate and carry out early-stage optimisation of Affimer® drug candidates against multiple undisclosed targets. LG Chem and Avacta will collaborate to progress these candidates through to drug candidate selection, and LG Chem will be responsible for pre-clinical and regulatory studies, clinical development and world-wide marketing of any resulting products. The Affimer® technology is Avacta’s proprietary alternative to antibodies with wide applications in the life sciences for drug development, diagnostics and research tools. Avacta’s in-house therapeutic pipeline is focused on immuno-oncology and the Group expects to advance its lead programme, a PD-L1/LAG3 bispecific, into the clinic in 2020 whilst building out its pipeline of innovative Affimer® drug candidates.